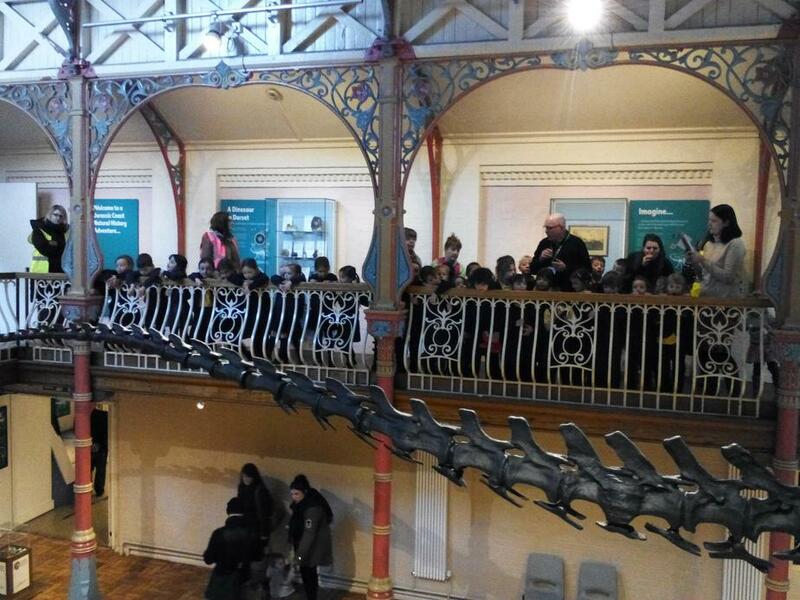 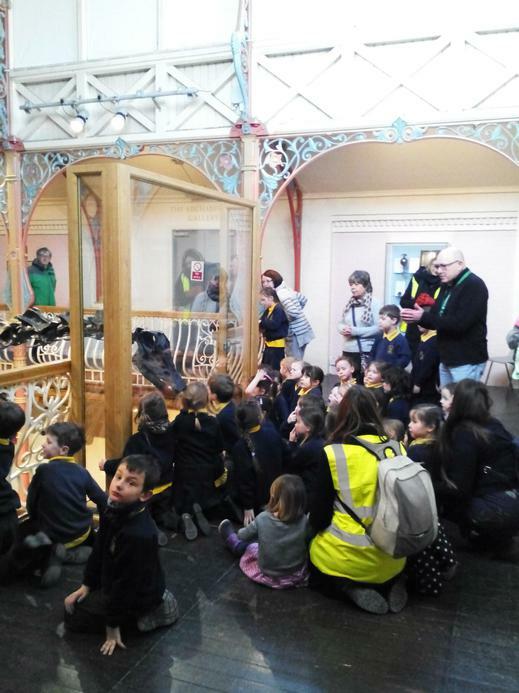 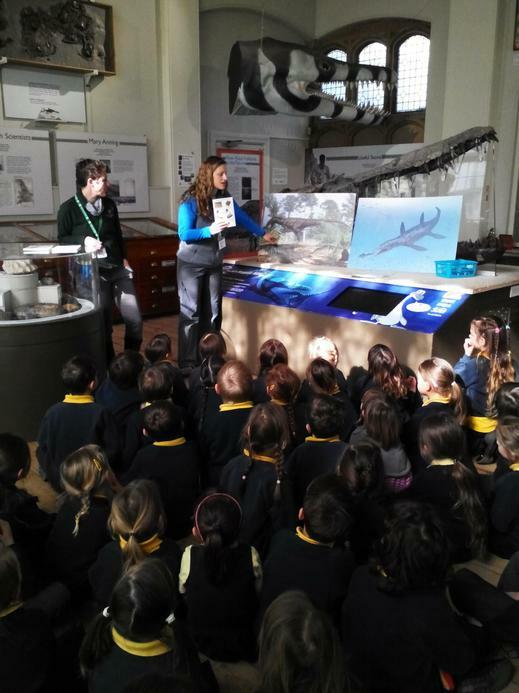 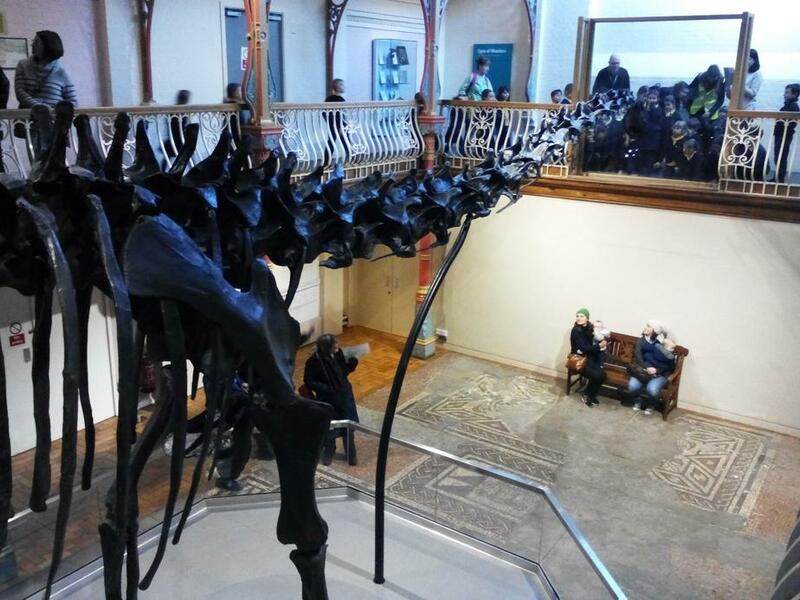 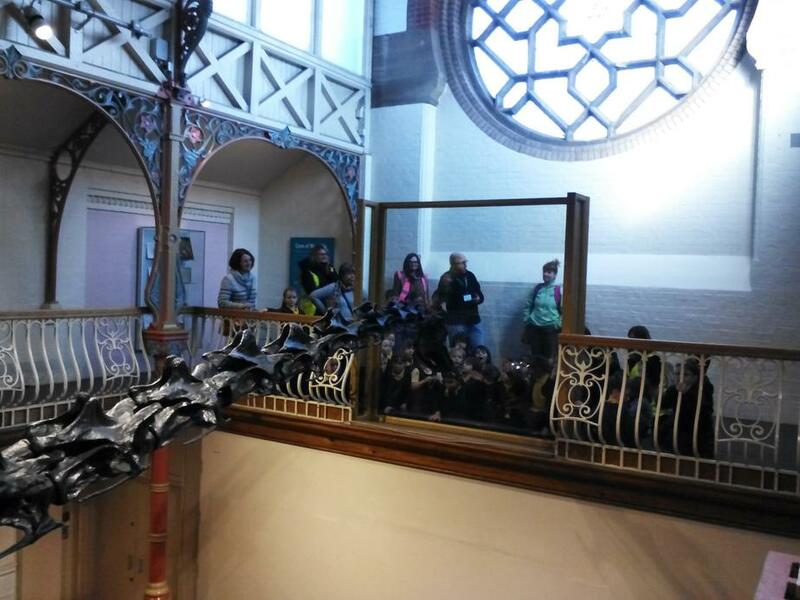 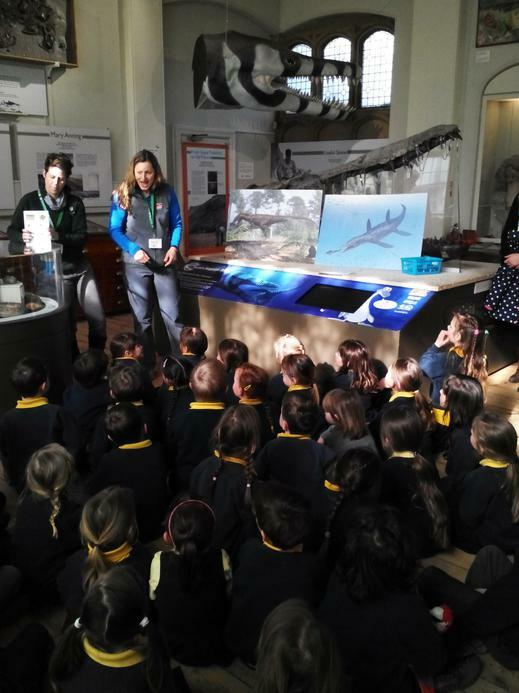 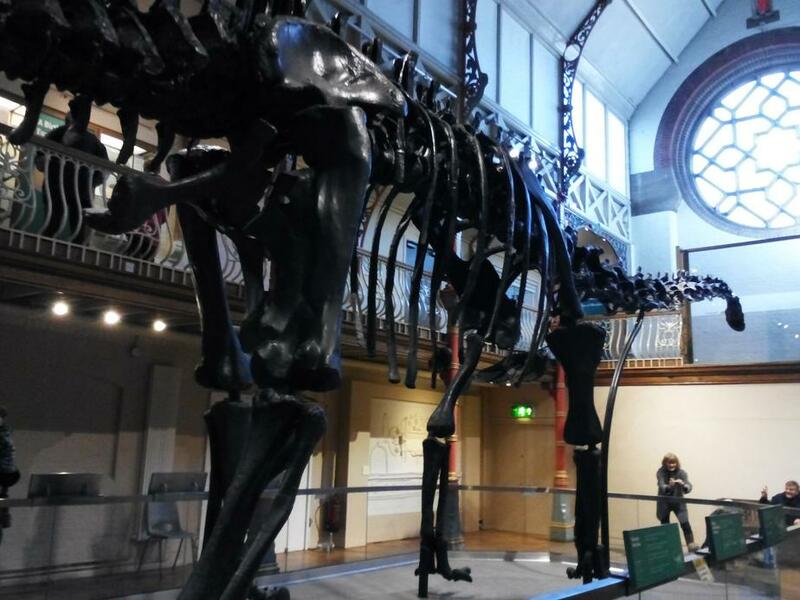 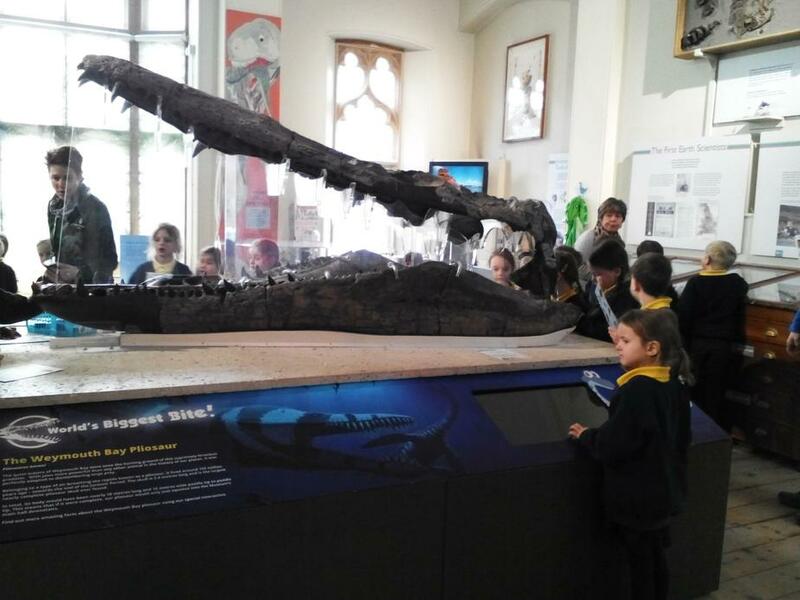 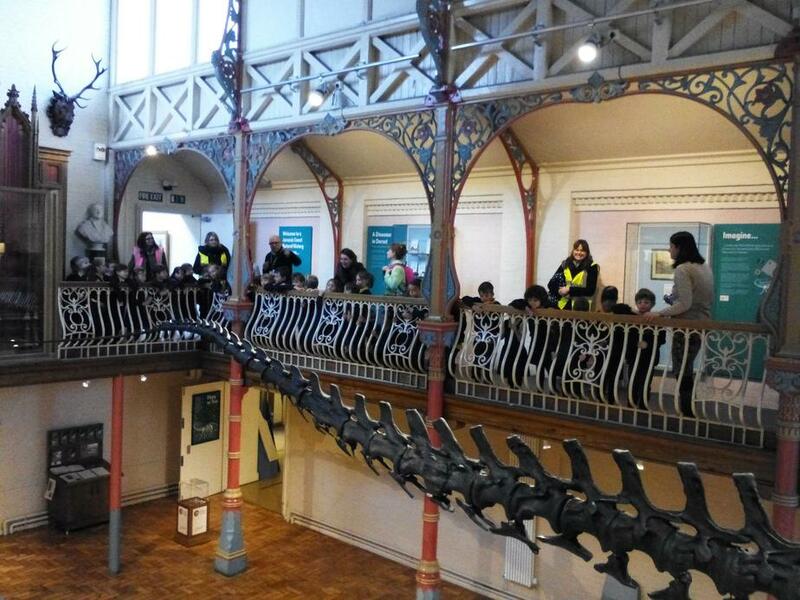 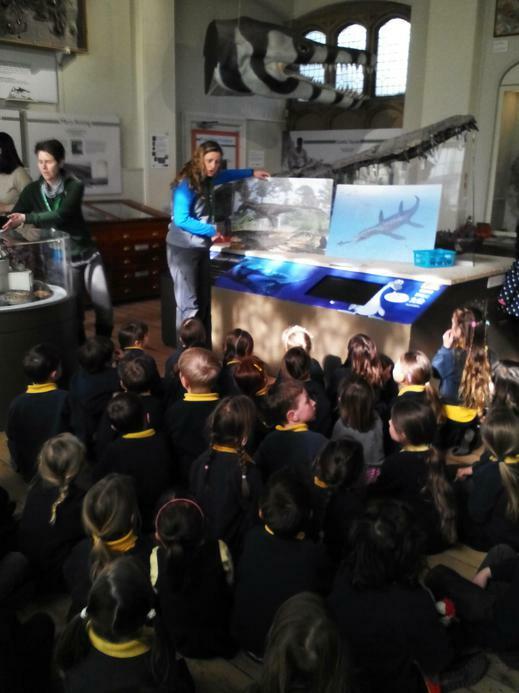 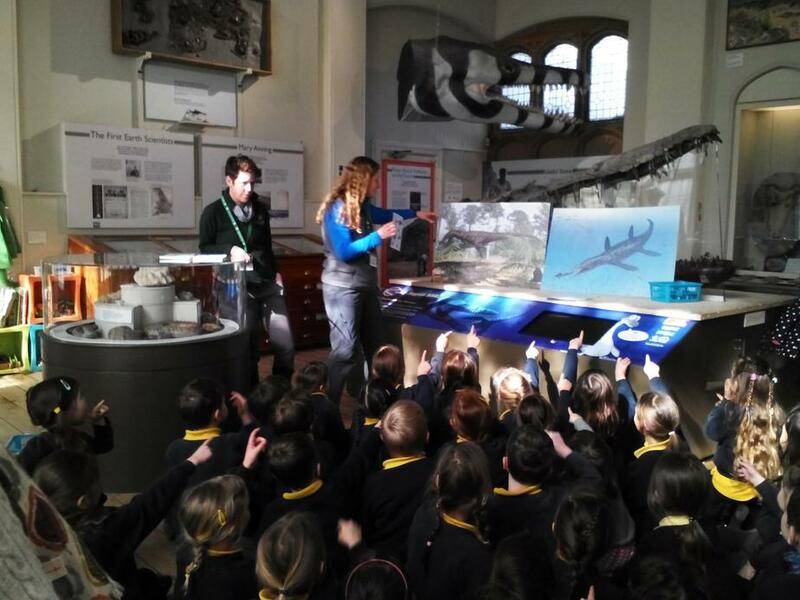 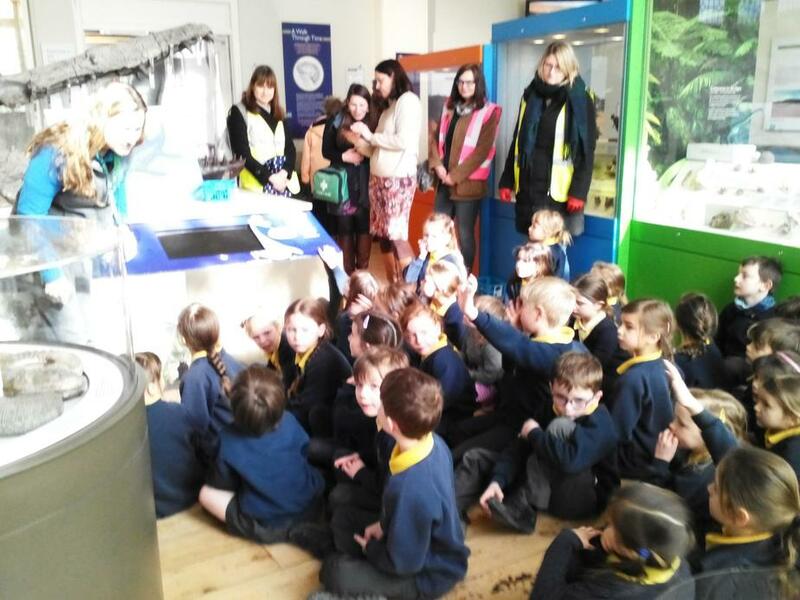 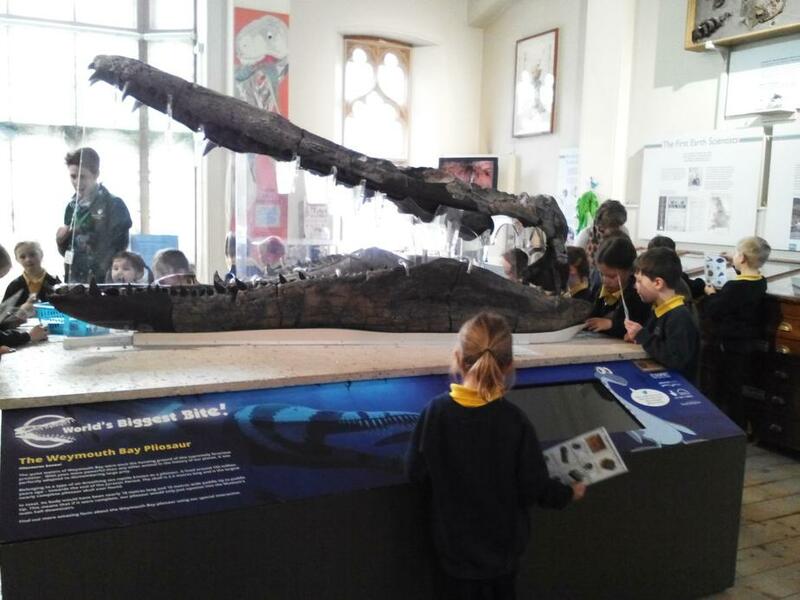 Today we had a wonderful trip to the Dorset County Museum to see Dippy the Diplodocus on tour from the Natural History Museum in London. 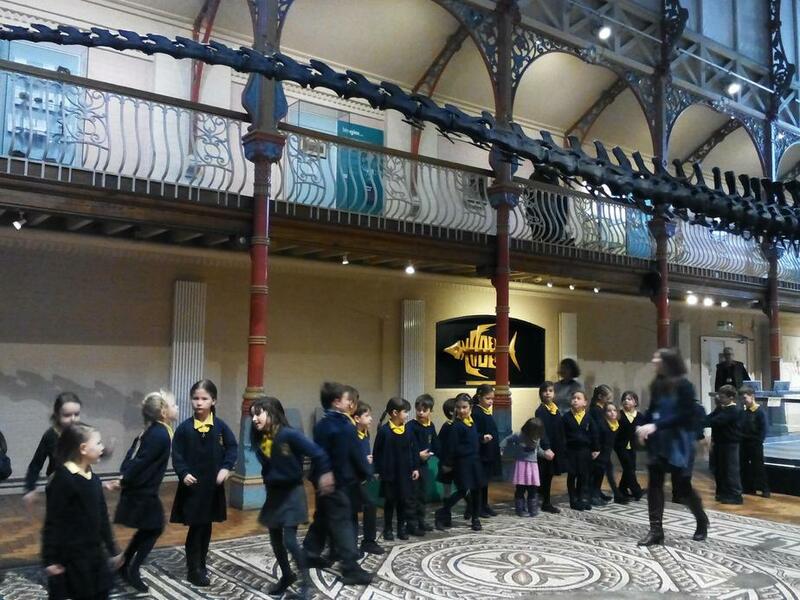 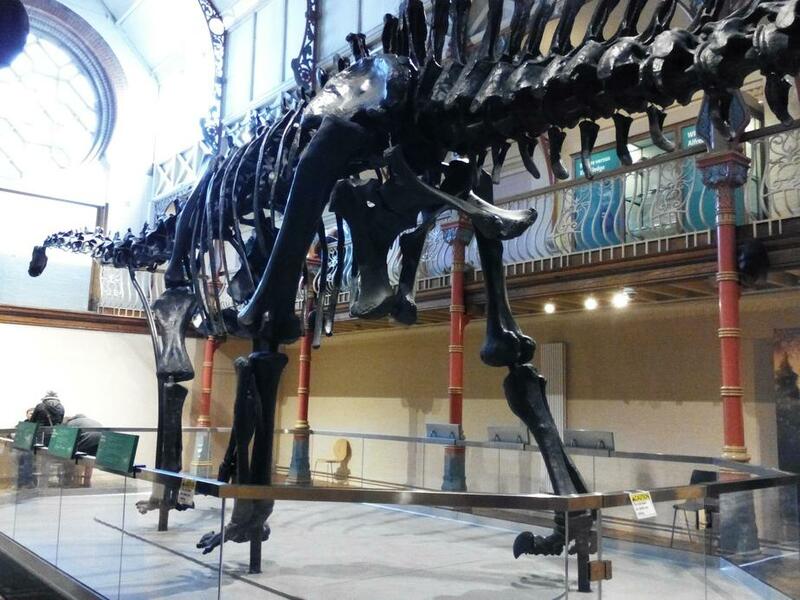 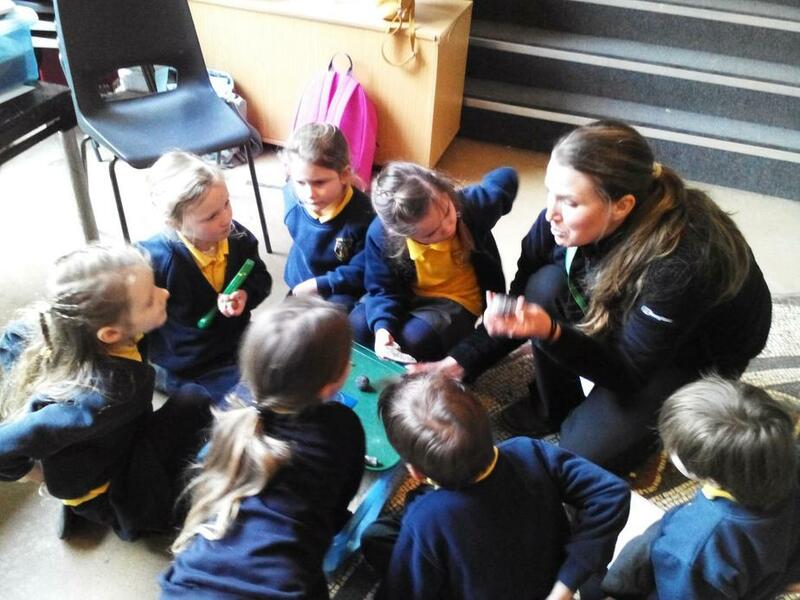 The children were very excited to meet Dippy and enjoyed learning some interesting facts about real Diplodocus! 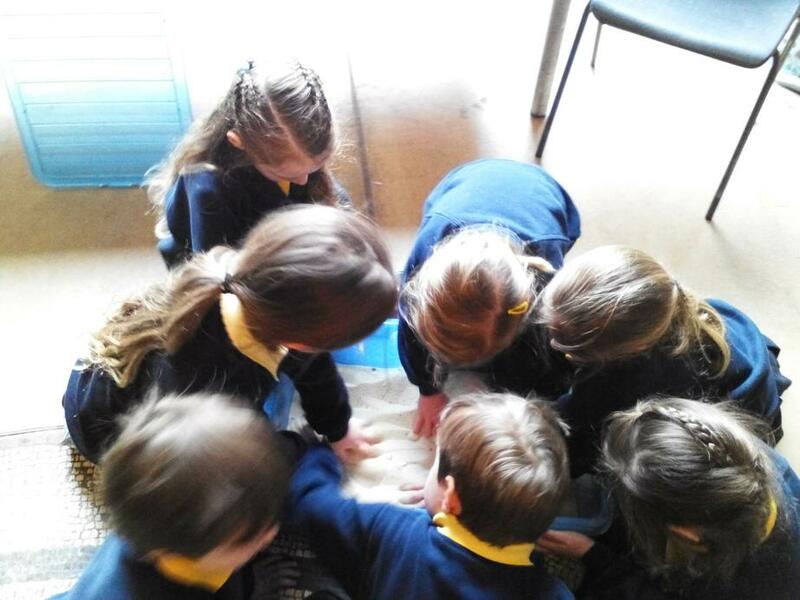 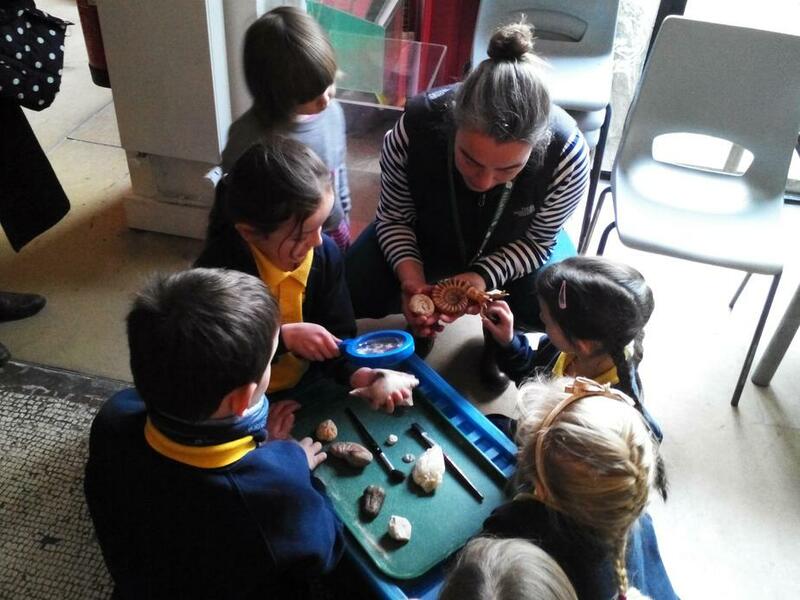 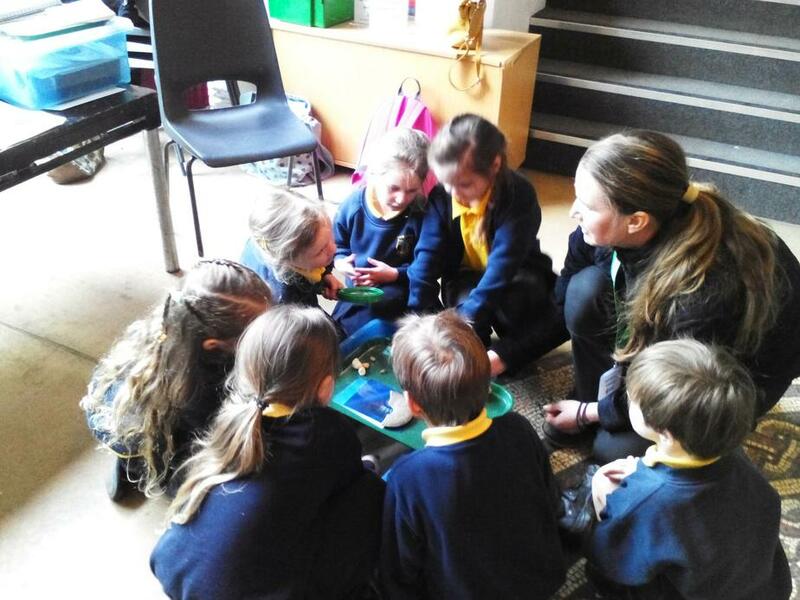 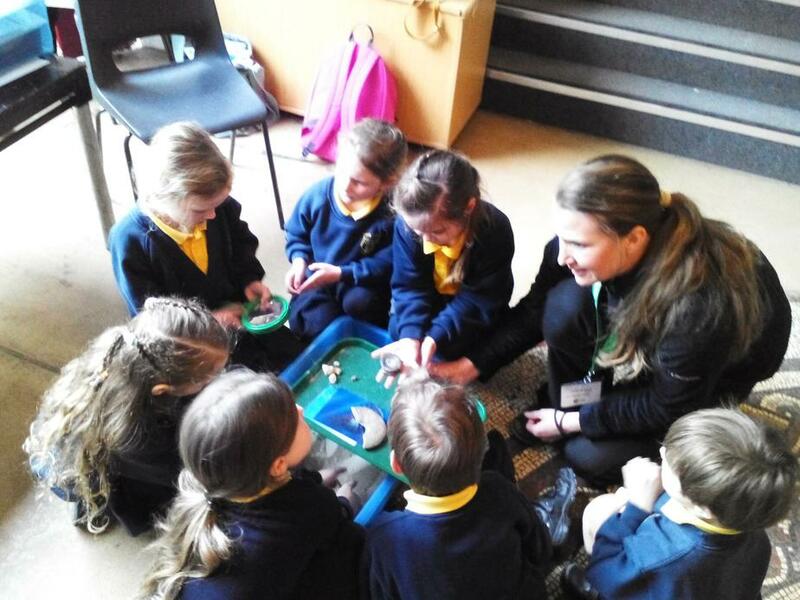 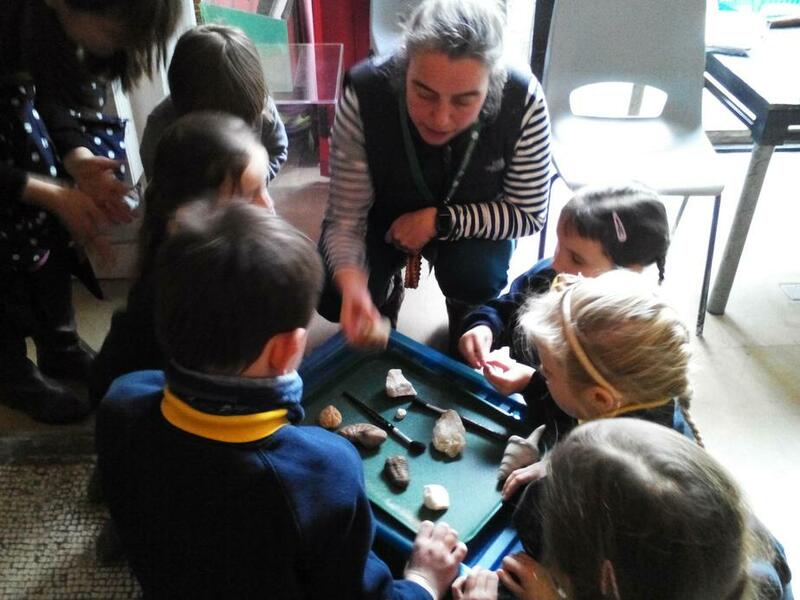 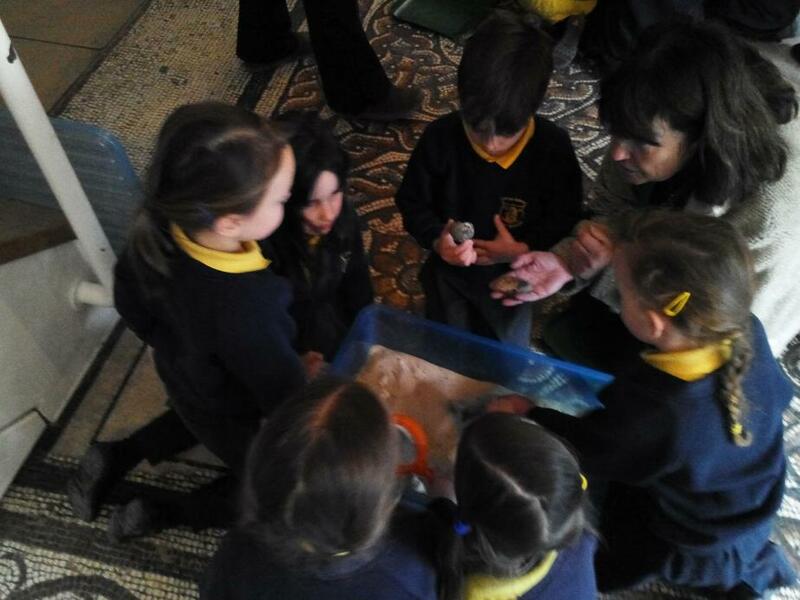 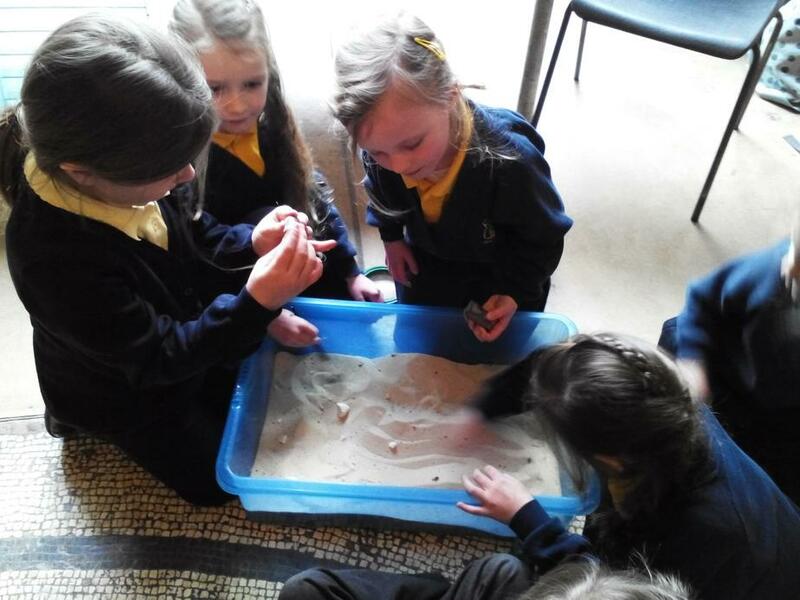 The children got to be paleontologists digging for real fossils and finding out what the fossils were. 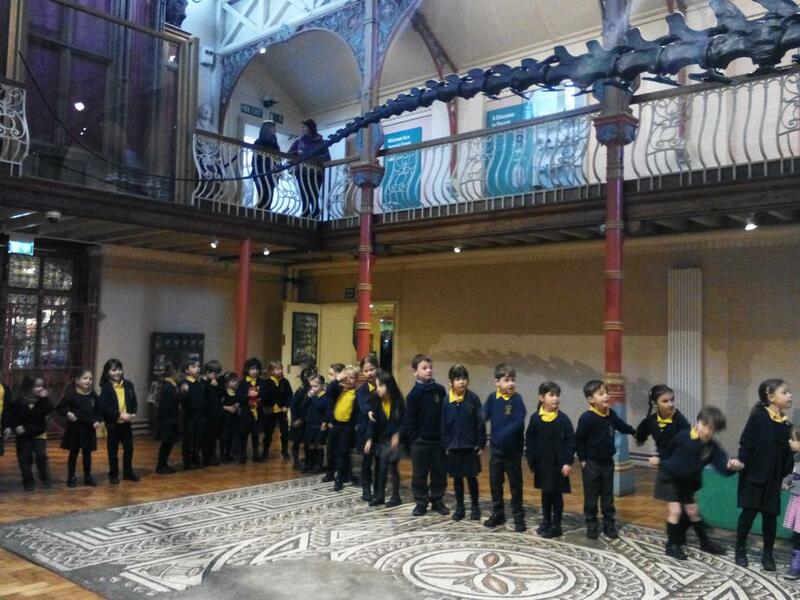 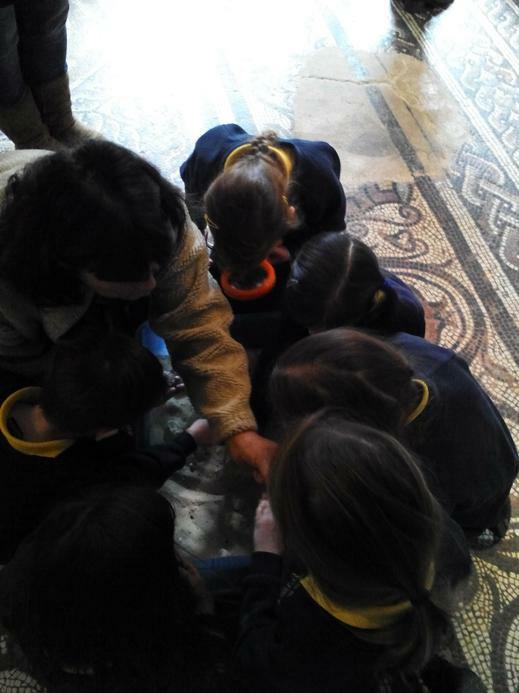 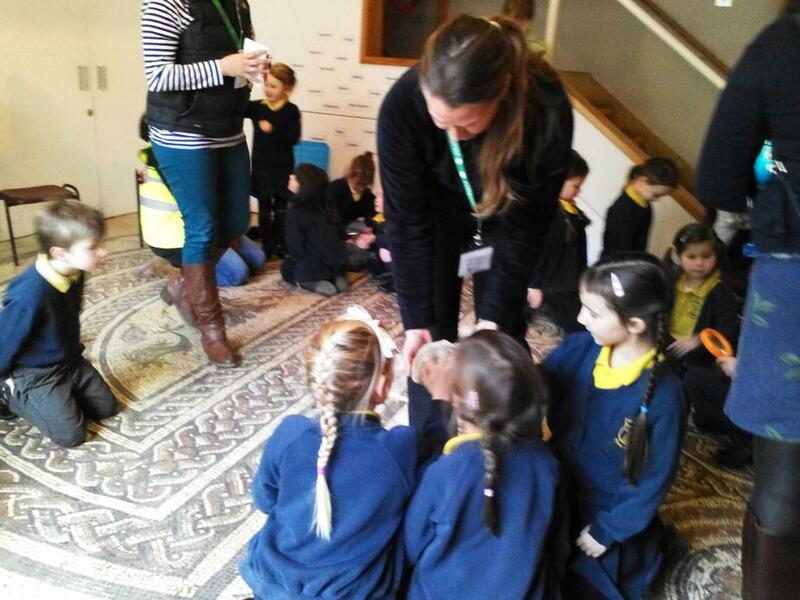 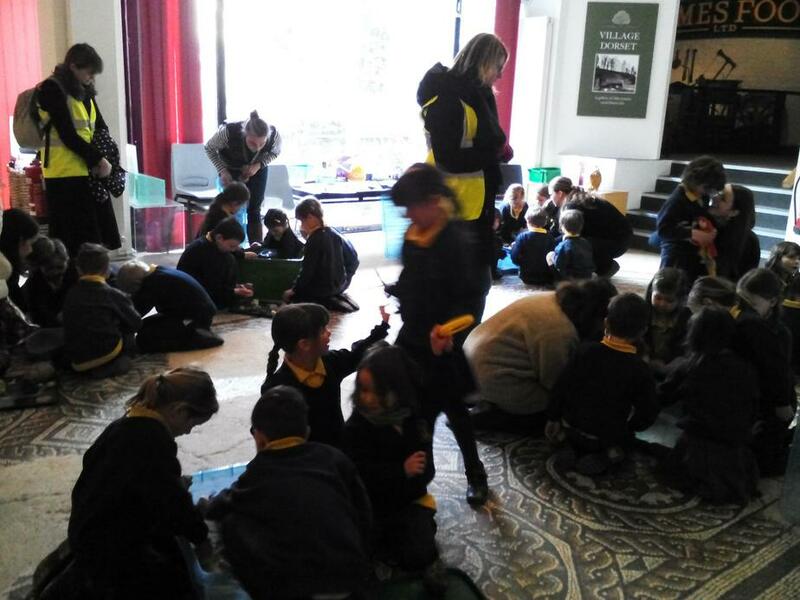 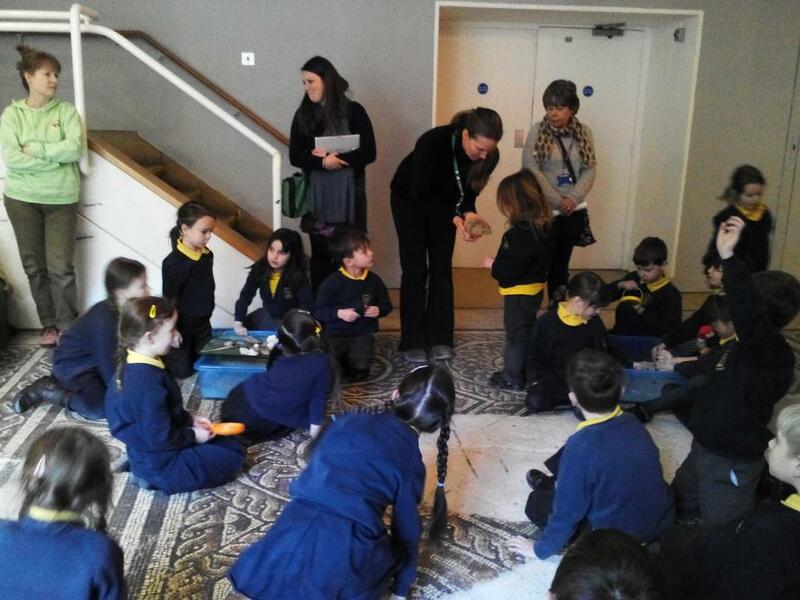 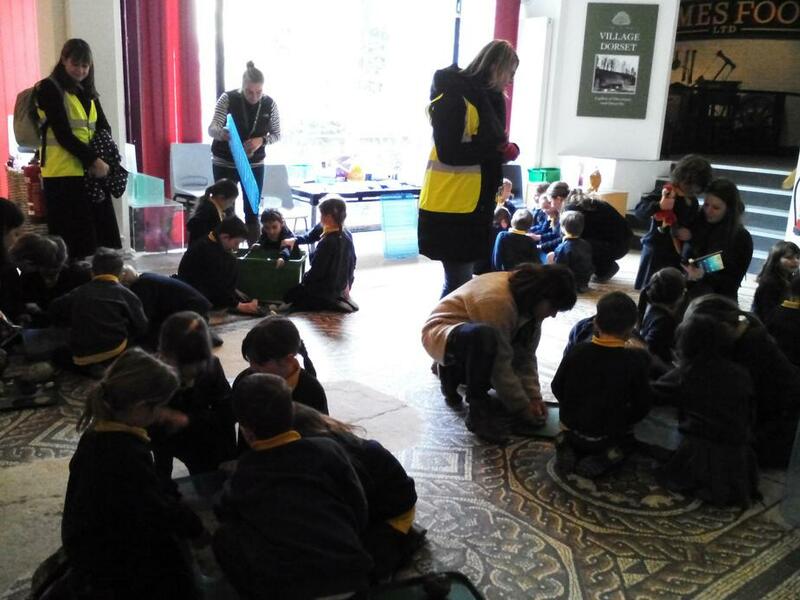 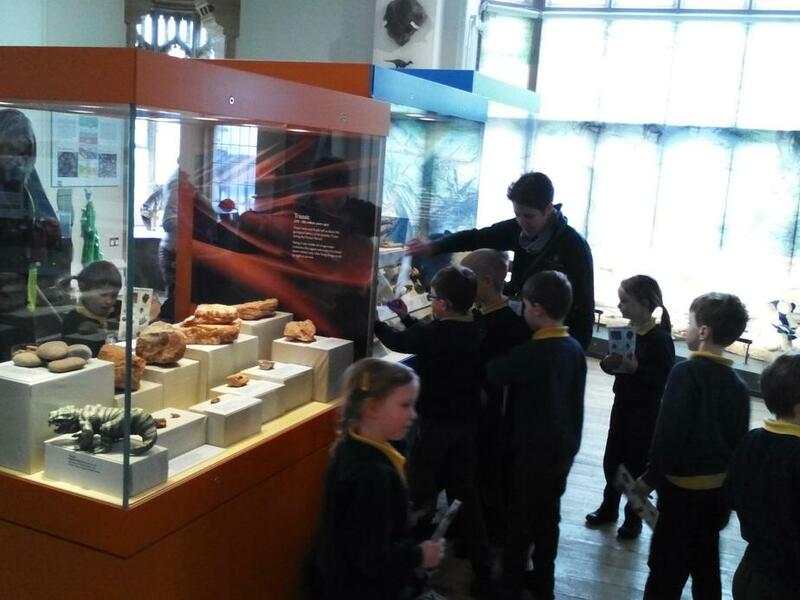 Giant Class also got to see some amazing fossils and took part in a hunt around the main dinosaur room in the museum. 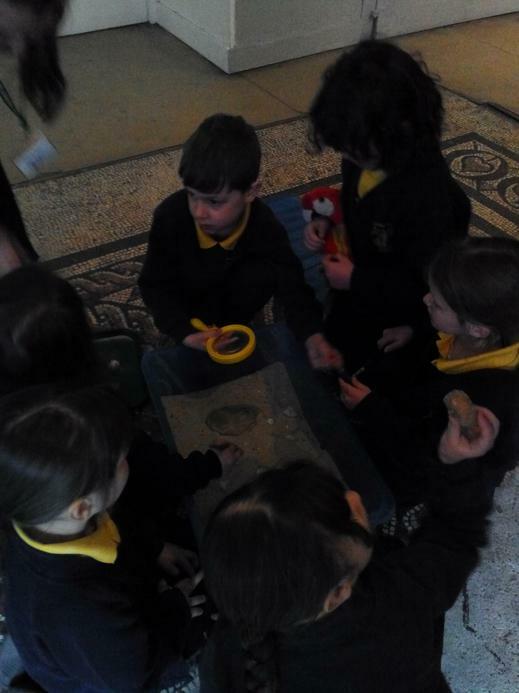 They got to use very cool stamps once they found the item on their sheets. 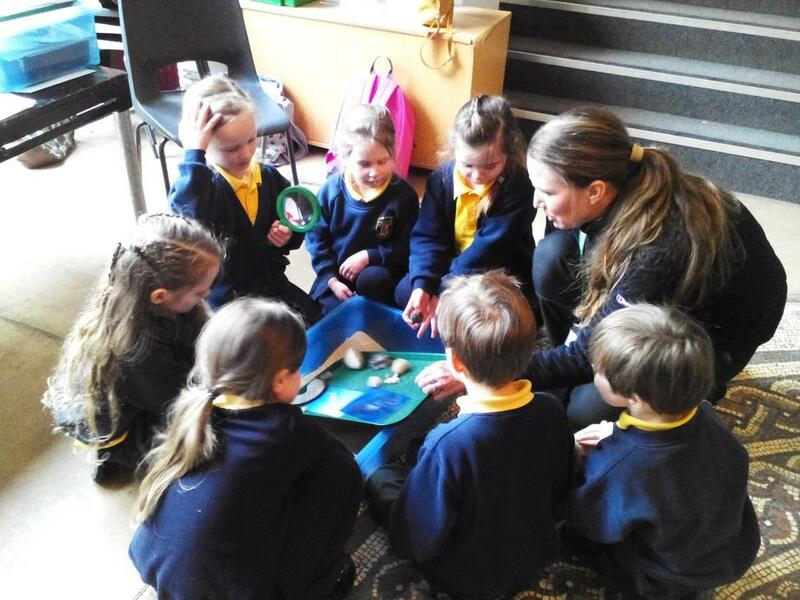 This was a very popular activity! 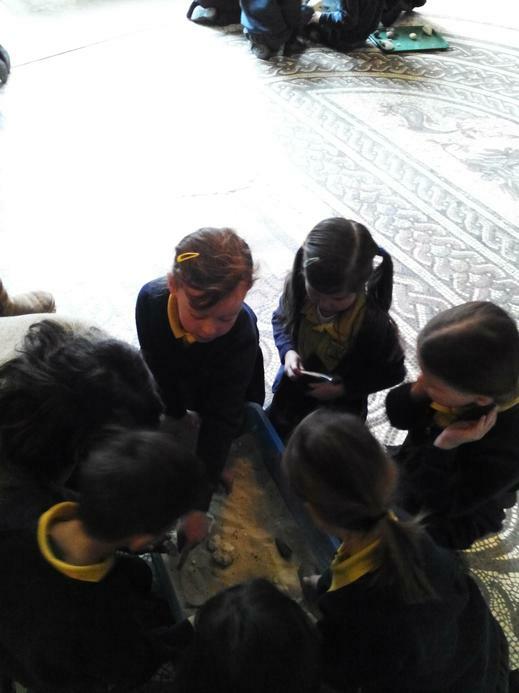 We had a very fun picnic in the museum too before heading back to school on the coach. 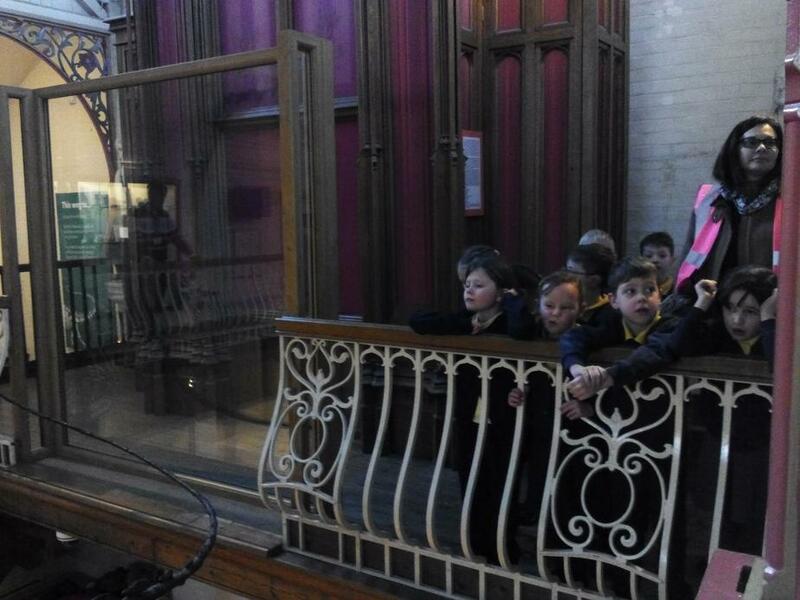 The coach was another very exciting part of the trip today! 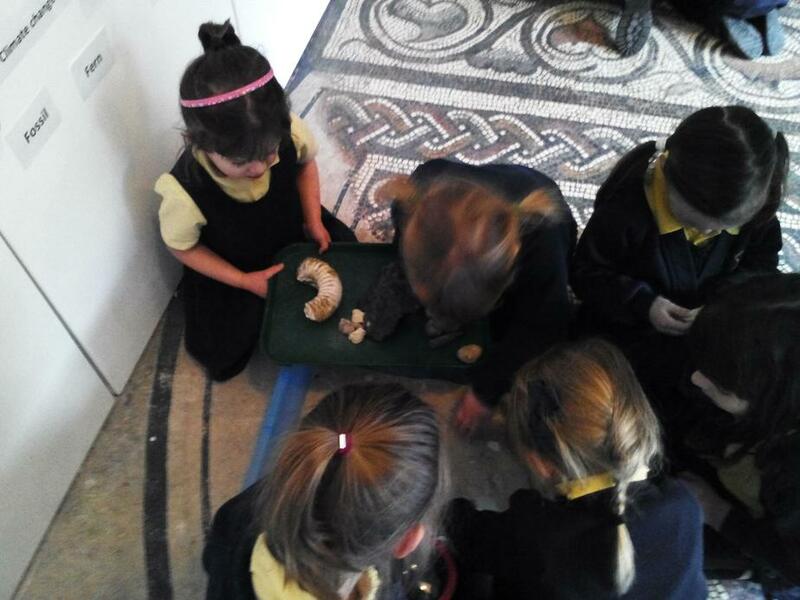 Thank you very much to all our fabulous helpers today - you were all brilliant! 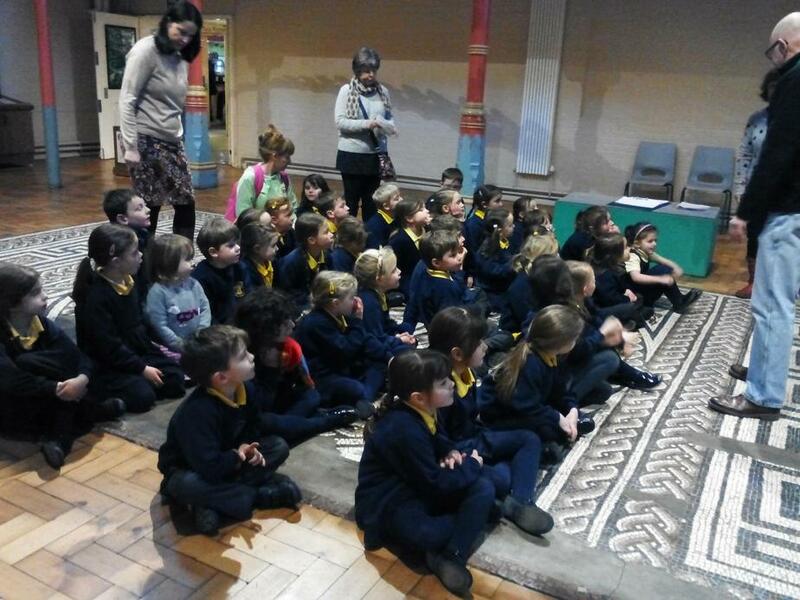 I hope Giant Class tell you all about our wonderful trip today.